Located near Li Hua Hotel. 20' x 60' Intermediate Unit. Still New around 6 years old As. Location is quite and peaceful. Less than 1 minute drive to Mukah Town. Land size is abo. 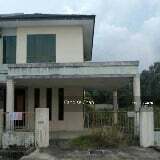 Big country land for sale in Mukah, Sarawak. Size is 1.29 acre (129 points). Behind Shell.